Steve Jobs didn’t tolerate many bosses, but there was one he wanted to work for: Nolan Bushnell. Jobs was attracted by the unique way Bushnell, co-founder of video game pioneer Atari, was forging an entirely new industry in the early 1970s on the success of iconic games like “Pong.” Bushnell tasked Steve Jobs to build a follow-up game called “Breakout,” which turned out to be another big hit. It was just one calculated risk Bushnell took while putting technology in places it’s never been before, like bars and, later living rooms. Even Jobs wanted to be part of it. 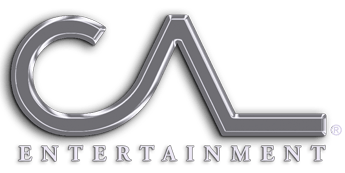 Atari is the company Bushnell is best known for, and is why he has been called the “father of electronic gaming.” But he has created dozens of other businesses with varying degrees of success, with game arcade and pizza parlor Chuck E. Cheese’s being the next-best known. Make optimism your default.“Entrepreneurship is driven by optimism,” Bushnell said. Many large companies are set up to reward those who say no to new ideas and perhaps avoid mistakes from being made. Innovation is quashed in such an environment. Success goes to those who find ways to make seemingly impossible ideas work. That’s especially true today as new technology and innovation can expose a stagnant and unchanging business to disruption. Bushnell recalls the early days of Atari as being very challenging since the company didn’t have venture capital to keep it funded. It needed a steady stream of good ideas that could be quickly turned into cash flow. “We had to live by our wits and our retained earnings,” he said. “We were constantly out of money. Success took coming up with a good idea and moving on it quickly. “When I think about something, I have to do it. It’s not enough to just think about it,” he said. Bushnell says a successful entrepreneur has to know the company’s numbers better than anyone. “If they can’t spreadsheet their business, I don’t even want to talk to them,” he said. It’s not enough to have a good idea; you have to understand the numbers that make it work.That was a lesson Bushnell impressed on his children, says Alissa Bushnell, his eldest daughter. At restaurants, he would challenge his young kids to estimate how much profit the restaurant made in a day by studying guest patterns and orders coming out of the kitchen. He would then say, ” ‘The first one to get the answer that’s in my head gets dessert,’ ” she told IBD. One way to improve the ability to forecast how much money can be made from an idea is learning how to play Go, the ancient Asian board game, Bushnell says. “This is a game about planning moves five, six or seven moves in the future,” he said. Business is the same and lessons are learned in failure as much as in success. Certainly, Bushnell has had his share of business misfires, such as video game restaurant uWink, but he picks himself up and tries again. “There’s a ‘youthful energy’ that I get from him in his work,” said David Heineman, a professor at Bloomsburg University and author of “Thinking About Video Games: Interviews With the Experts.” “A weakness would be that sometimes the risk-taking behavior and pursuit of ‘edginess’ has led to some high-profile disagreements” and disappointments. Find inspiration in random places. A mundane daily routine can stunt innovation and new ideas. It’s important to rejuvenate that part of your brain and there are ways to do that. Bushnell has a secret to stoking new ideas and creativity. While traveling, especially to Las Vegas, Bushnell randomly walks into whatever trade shows are there, even if they have nothing to do with what he’s working on. “I like going to weird trade shows. I still do it,” he said. While walking the halls, Bushnell looks for the best practices used in those industries and tries to find ways to connect them to his work. “There’s an ability to arbitrage standards of work in one industry into the standards of work in another industry,” he said. Another way to jog the creative part of your brain is reading science fiction. “Not post-apocalyptic science fiction but the optimistic stuff,” he said. If you read science fiction, look for things that should be real, but aren’t. While reading, Bushnell asks himself, “How do we get there?” Books that Bushnell recommends are Neal Stephenson’s “Snow Crash” and “The Diamond Age.” He’s read “Hyperion” by Dan Simmons several times and finds new inspiration each time. Know that life in the future should be frustration-free. To find new ideas, “make a list of all the things in daily life that irritate you. Then figure out: How do I get rid of that irritation? That will lead to very interesting things,” he explained. Whenever ideas occur to Bushnell, be it strolling the floor of a museum or trade show, he records notes on his cellphone. “That’s my compost where ideas fester, mature and sometimes metastasize,” he said. It’s the ability to see bigger opportunities from technological developments and how they might fill consumer needs that’s the core of Bushnell’s ability, Heineman says. Bushnell also strings together lessons from other businesses to “parlay past experiences and successes into new opportunities,” said Heineman. Tame anxiety as it will block your creativity. 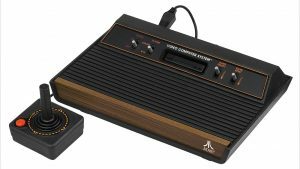 During the early 1970s, while Atari was in its most rapid growth phase, Nolan suffered from anxiety-induced tension headaches. Knowing that stress would choke off innovation, he met with Emmett Miller, an author and personal coach who helps creative people manage anxiety. “He taught me exercises and I have not had a single migraine after that,” Bushnell said. The first technique Bushnell uses is a variation of mindfulness. He suggests having a series of “happy places” at your mental fingertips where you can go when life gets hectic. Think of a place you’ve been where you’re calm and relaxed, and simulate as many of the senses you experience there. “I imagine myself sitting on a balcony in Positano, Italy, with a cup of good strong Italian coffee, glass of blood orange juice, hearing the birds chirping, smelling the coffee, smelling the croissant and overlooking the Mediterranean,” Bushnell said. Having a personal philosophy can also help the mind focus on innovation. Bushnell has adopted existentialism as his way of looking at the world — where he celebrates the journey, not the destination. “You take yourself out of the middle of everything and put yourself into role of observer,” he said. Doing this allows you to look at the situation more creatively. Overcame: Launching Atari with very little financing, as the industry was new and didn’t have a track record, resulting in Bushnell forgoing his own pay, sometimes for months. Lesson: Think about how to monetize a good idea, but be prepared to change an approach when the unexpected occurs.